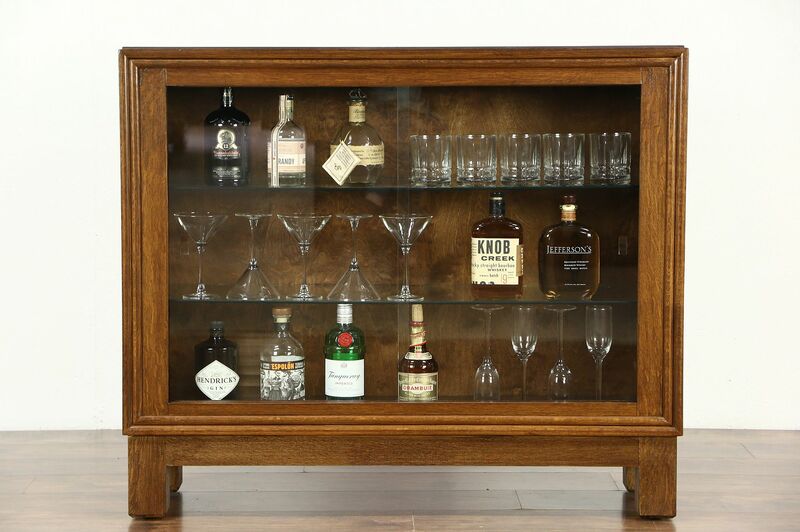 A Midcentury Modern oak china cabinet or bookcase was crafted in Scandinavia in the 1940's. The renewed finish is in excellent condition on this vintage furniture, flattering the fine quarter sawn grain. Sliding glass doors move smoothly. Measurements are 44 1/2" wide, 13" deep and 38" tall.